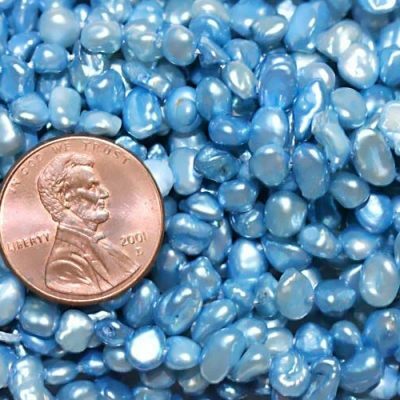 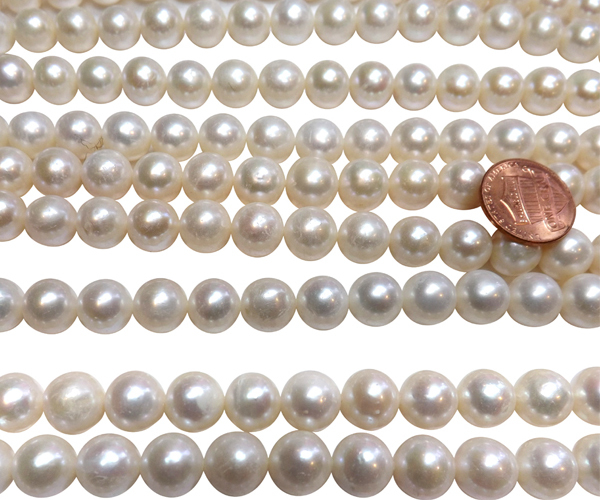 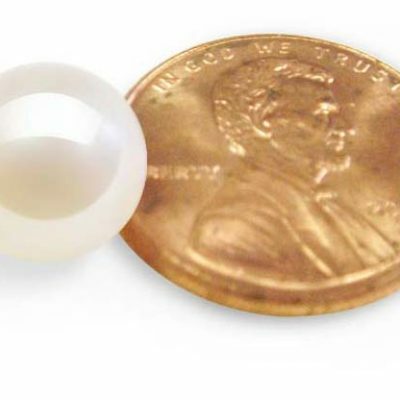 These are large, 10-11mm AA- graded round freshwater pearls that have a few circles and spots on the surface. 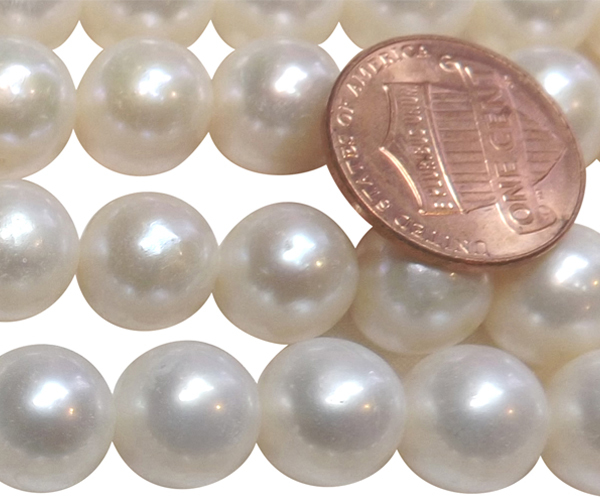 But overall really nice quality which they could be called as AA- by other online stores. 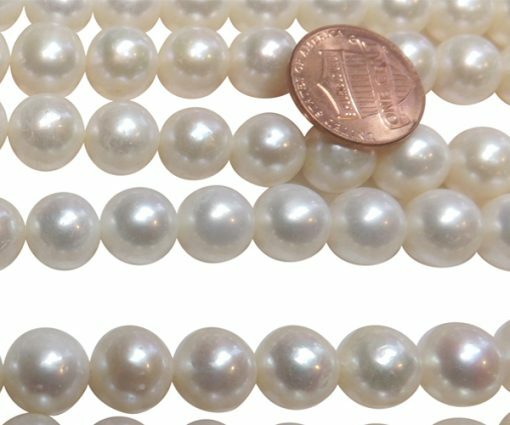 We provided these quality of pearls because of customers’ request for reasonable priced pearls at large sizes for them to make their own jewelry. If you are looking for much rounder and better quality pearls, please do a view all, or search by product number to sort by sizes. There are approximately 41 pearls available on each of these 15.5inch loose strands. 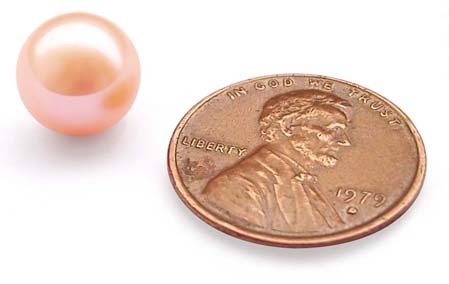 Each strand weighs about 60 grams.